This weekend Flat Bonnie will be participating in a new group art show entitled “Year of the Rooster” at Giant Robot to celebrate the Chinese New Year. The show will run from February 4th through March 19th. Exclusive to the event are these adorable new Pocket Rooster Daruma plushes by Flat Bonnie. The Pocket Rooster Daruma can go everywhere with you, and he will bring you good luck and encouragement on your journey. 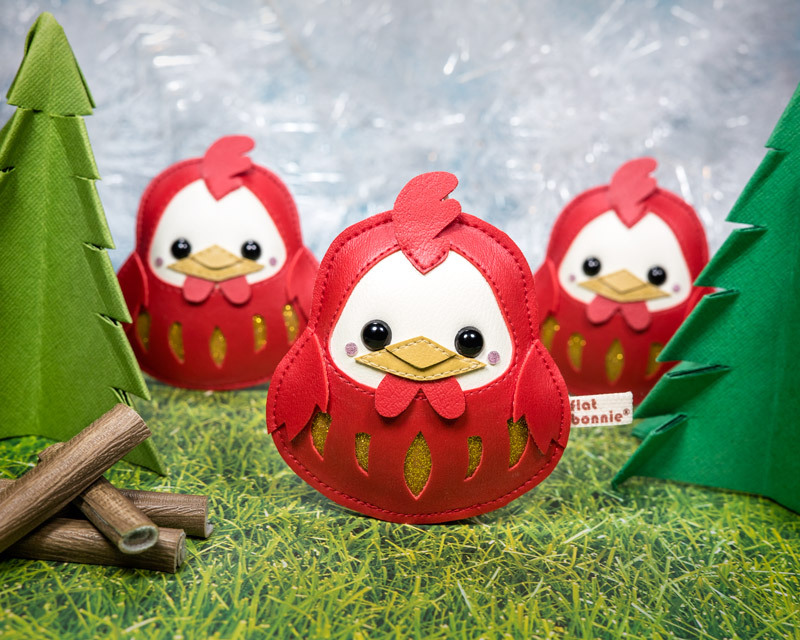 The “Good Luck” Pocket Rooster Daruma plush by Flat Bonnie stands 3” tall and is limited to just 10 pieces. Each plush charm is made from vinyl pleather and retails for $25 at the Giant Robot Store. As with all Flat Bonnie plushes, each Pocket Rooster Daruma is made with 100% animal friendly products.